According to the Income Tax Department, Karti had not disclosed his bank account in Metro Bank, the UK, and investments he had made in Nano Holdings LLC, USA. 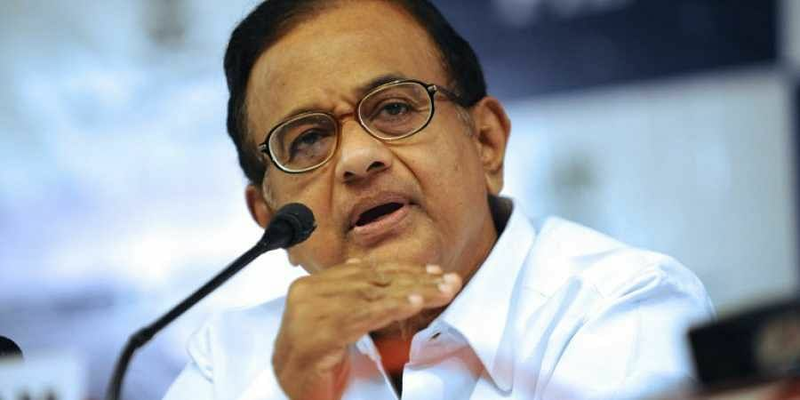 CHENNAI: A magistrate court in the city today directed former Union finance minister P Chidambaram's family members to appear in court on August 20 without fail in connection with the black money case. Chief Metropolitan Magistrate S Malarvizhi ordered the personal appearance of Chidambaram's wife Nalini, son Karti and his wife Srinidhi on August 20 since they failed to do so today. Also, the department said Karti had failed to disclose investments made by Chess Global Advisory, a company co-owned by him, which is an offence under the Black Money Act. The department stated that the trio had not disclosed Rs 5. 37 crore worth of property they jointly own in Cambridge, the UK and Rs 3. 28 crore worth of properties in the USA. The I-T Department initiated prosecution against them under Section 50 of the Black Money (undisclosed foreign income and assets) and Imposition of Tax Act. Earlier, the Magistrate had summoned the family of Chidambaram under section 50 of the Act and directed them to appear before the court on June 25. Chidambaram and his family members appeared before the court on June 25 and filed a petition seeking to dispense them from personal appearance.